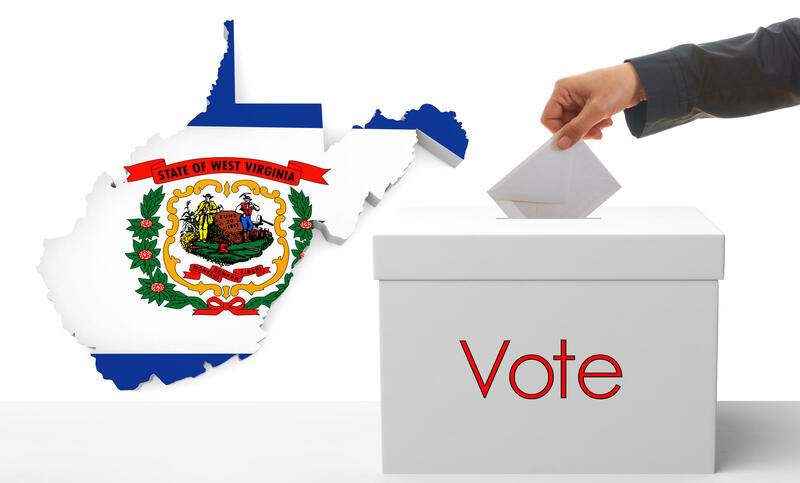 West Virginians will be heading to the polls in a midterm primary election with nominations up for grabs in the U.S. Senate, U.S. House and the Legislature. After 10 days of early voting, Election Day polls open Tuesday at 6:30 a.m. and close at 7:30 p.m. Independent voters can choose to vote in either the Democratic or Republican primary. Here’s a look at some voting numbers and key races on Tuesday’s ballot. According to the secretary of state’s office, more than 68,000 voters cast their ballots early leading up to Tuesday’s primary election. Kanawha, Monongalia, Wood and Cabell counties had the most early ballots submitted. That’s an increase from about 45,000 early votes in the last midterm election in 2014. In 2016, more than 100,000 voters cast early primary ballots, more than any other year since early voting was first allowed in 2002. There are about 1.22 million registered voters in the state, down about 50,000 from the 2016 general election. Registered Democrats comprise nearly 43 percent of the electorate. Registered Republicans make up about 32 percent of all voters and nearly 22 percent had no party affiliation. The closest-watched race could be the Republican U.S. Senate primary, which has six candidates, including 3rd District Congressman Evan Jenkins, state Attorney General Patrick Morrisey and former Massey Energy CEO Don Blankenship. Jenkins is a former Democrat and second-term congressman. 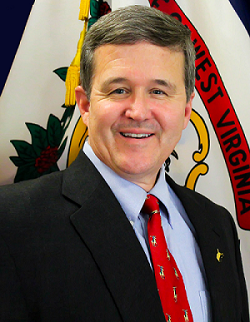 Morrisey was elected in 2016 to a second four-year term. 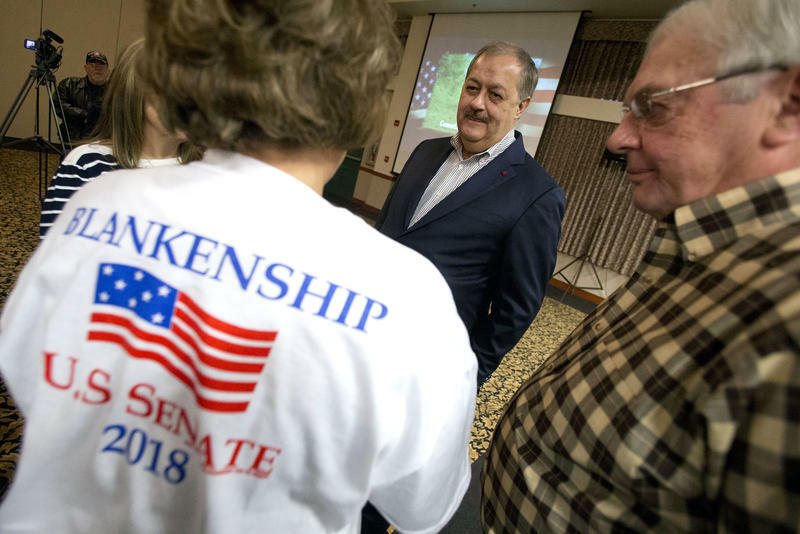 Blankenship was released from federal prison in May 2017 after serving a year for a misdemeanor conviction for conspiring to willfully violate safety standards at Massey’s Upper Big Branch mine, where 29 men were killed in a 2010 explosion. Other GOP candidates are Bo Copley of Lenore, a miner who confronted Democratic presidential candidate Hillary Clinton in 2016 over her remarks about cutting coal mining jobs; truck driver Jack Newbrough of Weirton and West Virginia National Guard Maj. Tom Willis of Martinsburg. Manchin, a former governor, is seeking a second full six-year term in the Senate. In Tuesday’s primary he faces Paula Jean Swearengin, a Bernie Sanders Democrat from a coal-mining family. Four Democrats and seven Republicans are running for the 3rd District seat being vacated by Jenkins. Among the Democrats is Richard Ojeda, a state senator who gained notoriety for vocally backing a teacher pay raise a month before their nine-day statewide strike began. The other Democrats are state Delegate Shirley Love, Huntington bus service CEO Paul Davis and nurse Janice Hagerman of Mount Hope. The GOP ballot includes former state Republican Party Chairman Conrad Lucas; state delegates Marty Gearheart, Rupie Phillips and Carol Miller; former delegate Rick Snuffer, Dr. Ayne Amjad of Beckley and Philip Payton of Milton. Congressmen David McKinley from the 1st District and Alex Mooney from the 2nd District are unopposed in the GOP primary. The 1st District Democratic primary pits Keyser attorney Tom Payne, retired law firm CEO Ralph Baxter of Wheeling and West Virginia University law professor Kendra Fershee. In November, Mooney will face either U.S. Army veteran Aaron Scheinberg or former Hillary Clinton state presidential campaign director Talley Sergent. Seventeen of the 34 state Senate seats are up for grabs this fall. Every incumbent is seeking re-election, and six Democratic races and six on the GOP side are contested Tuesday. All 100 House of Delegates seats are on the ballot. Eighteen delegates didn’t file for re-election, including Republican House Speaker Tim Armstead. Republicans hold a 22-12 majority in the Senate and a 64-36 lead in the House. On this West Virginia Morning, all six Republican candidates for U.S. Senate squared off Monday night in Wheeling during an hour and a half long debate as aim for a seat in the U.S. Senate. As Dave Mistich reports, the candidates made mention of their affinity for President Donald Trump while heavily criticizing Democrat incumbent Joe Manchin. Editor's Note: This is an op-ed piece from West Virginia Secretary of State Mac Warner, published verbatim. West Virginia is just a couple of weeks away from our May 8th Primary Election. This is an exciting time for nearly 1,000 candidates from all parties and from all over the state seeking to serve their friends and neighbors in elected offices. As the state’s chief elections officer, I want to encourage every registered voter to participate in the upcoming Primary Election. My staff, our 55 county clerks, their employees, and more than 9,000 poll workers are prepared to offer every voter a safe and secure election process.